hi there. 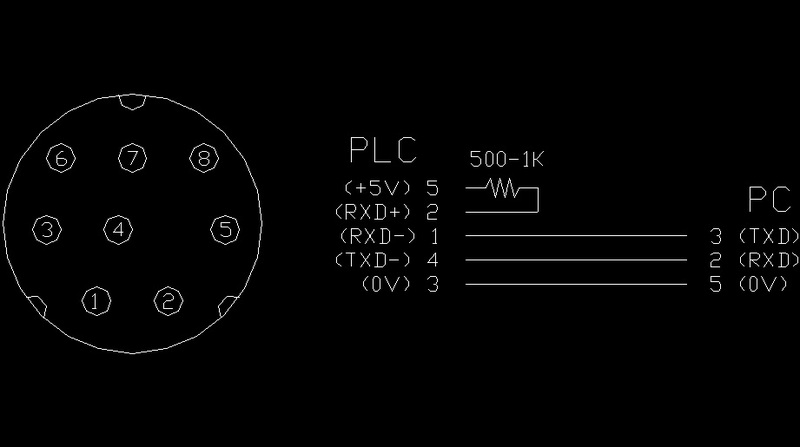 .. i am new to plc programming.. Right now i am having problem related to communication between hmi and plc..
i have HMI WEintek 6070ip and plc mitsubishi FX2n..
i have written a program in gx developer . and communicate it with EASY Builder for HMI. 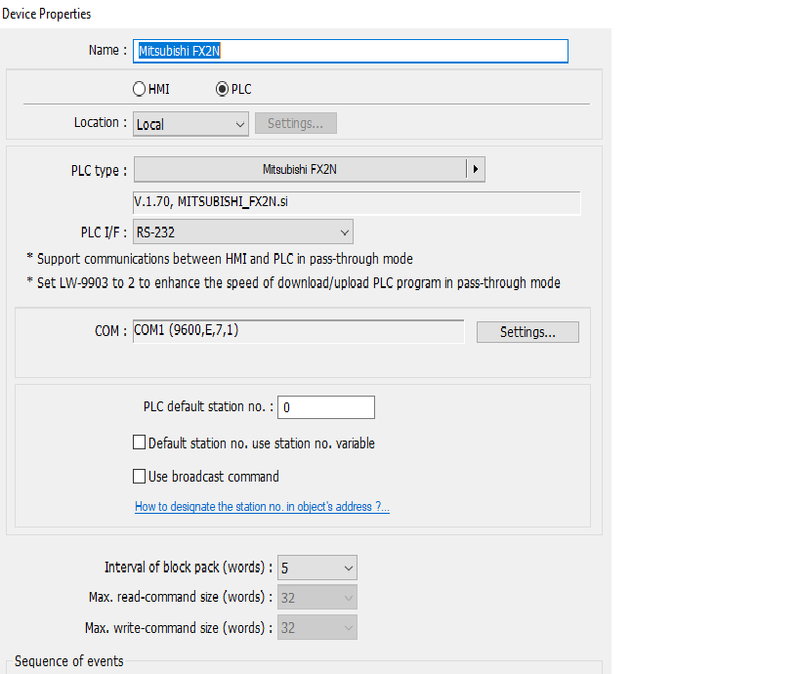 so for now plc is communicating with my program written for hmi on pc. but when i downlaod to hmi and connect plc cable to hmi then hmi shows no plc communication. 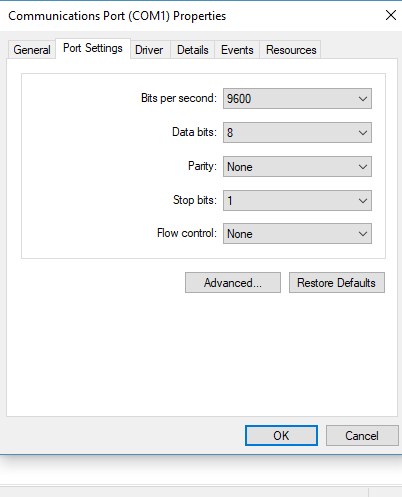 i am having a problem for communication between hmi and plc. any help will be a life saver. Wel, you should really take this up with your HMI supplier or in this case a Weintek forum. The HMI supplier should supply the documentation for which driver he is using etc. Further more how are you connected via the CPU or a board ? What have you set for your serial communication board ? ok but you bare using an FX2N-232-BD right. You have to set the setting for this. You said you were using RS232 9 pins ???? 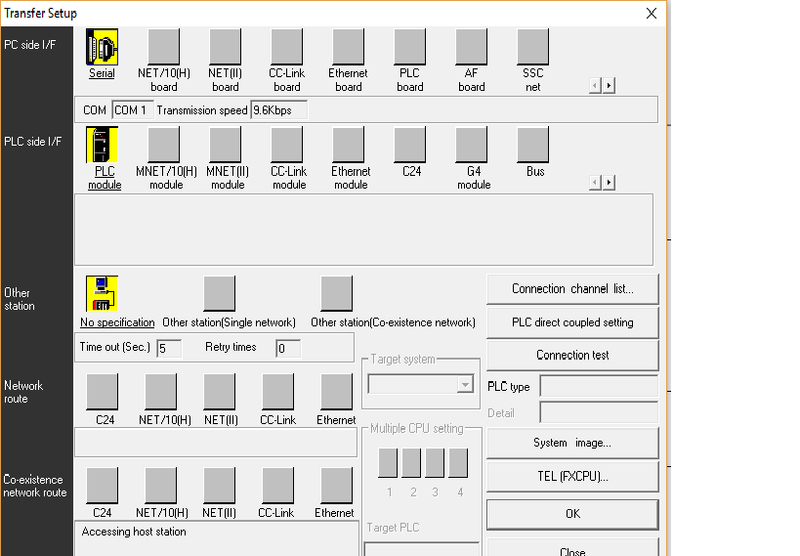 my laptop has com port 1... my cable is 9pin to plc connector .. when i connect easybuilder to hmi .. it connects and download the program.. same as when i connect plc to gx developer it connects and download the program.. also online simulation in easybuilder it shows plc data.. but when i connect hmi and plc to each other without plc.. then it shows no plc response. Then you are probably using an Sc09 (red) cable between GX Dev (PC) and FX. This cable converts from RS232 to RS422. So if you are connected to the CPU port the settngs are correct 7 even 1 9600. Has the RS232 port of the Weintek the same pin layout as a Standard serial port of a PC ? I see that a Weintek Com 1 support 232 and 422. Has the right one been selected ? Can you Guys @Gambit and @Zubair Ahmed summarize this problem and solution. THE problem was that i am communicating my hmi with plc but communication is not happening. but communication is done when i connect gx developer with the hmi easybuilder software. solution was that in easybuilder select the same com port as in gx developer you have selected along with same baud rate. also hmi port 1 was for rs232 . so i did the settings and problem was solved.